extremely friendly personnel .Really among the best teams i ever found ,they surely make the difference. Friendly staff! Fresh and full of options breakfast! Convenient location, walking distance to town! Absolutely LOVED our stay here! The hotel is beautiful and the staff are super friendly and accommodating! This was definitely one of my favorite stays on our trip. I will definitely be recommending Skopelos Holidays Hotel & Spa to everyone. We arrived at the port and they picked us up, which was very helpful as we didnt have to spend money/figure out how to get to the hotel. On top of that, they let us to our room once we got there.The room was beautiful and we had a balcony that overlooked the sea. The hotel itself was super cute and there was a photo op everywhere you go. 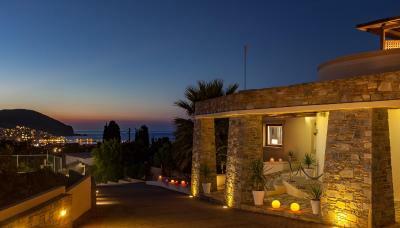 The hotel is well located as it is close to the beaches and “chora” as well. Also the facilities and the spa were very clean, I highly recommend doing an antistress massage as it was very relaxing!! To sum up if you are planning to visit Skopelos island definitely go to Skopelos Holidays Hotel and Spa. Nice Staff. Great breakfast. Great gardens. Free Transportservice. Nice hotel, at a lush green landscape, very close to Skopelos center. The staff was very friendly and polite. We had a great sea view from our balcony and the breakfast was delicious with a variety of foods. We had a great stay and we will certainly visit it again next year. Warm welcoming, friendly and helpful staff!the breakfast was delicious! 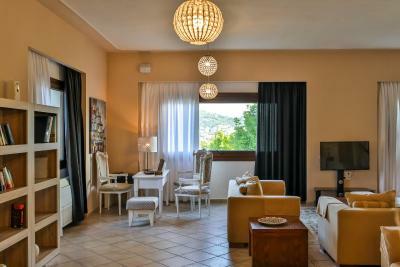 Nice and spacious room, great view of the town of Skopelos. Staff was very helpful and kind. Very kind staff. Spacious and clean room. Hotel close to restaurants. 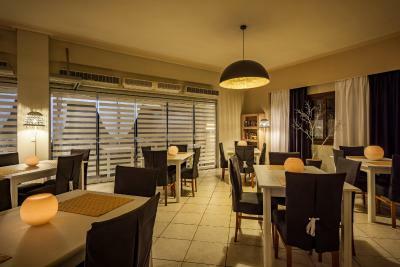 Skopelos Holidays Hotel & Spa This rating is a reflection of how the property compares to the industry standard when it comes to price, facilities and services available. It's based on a self-evaluation by the property. Use this rating to help choose your stay! Located just 0.9 mi from Skopelos Port, this 5-star hotel features panoramic views of Skopelos Bay and the surrounding mountainous landscape. Luxurious amenities include a well-appointed spa. Parasols and loungers can be found by the edge of the very large outdoor pool. 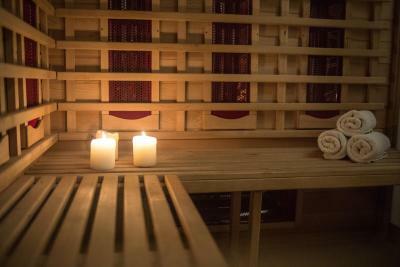 For relaxation, a sauna and a range of massage treatments are offered in the spa. A fitness room is also available. Guests receive a welcome drink by the pool upon arrival. Some accommodations at Skopelos Holidays Hotel & Spa feature a private outdoor area with a pool and garden furniture. 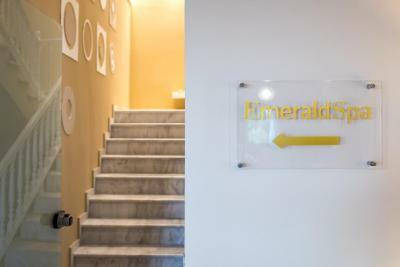 All rooms are air-conditioned and have free Wi-Fi access and open out to verandas with outdoor furniture. 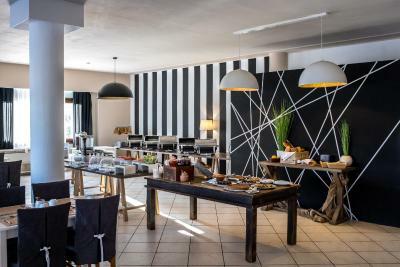 A range of freshly-prepared local and international dishes are available at the Skopelos Holidays Hotel & Spa’s modern restaurant. After dinner, drinks and refreshments can be found in the hotel’s well-stocked bar. Stafylos Beach and Velanio Beach are 1.2 mi away. 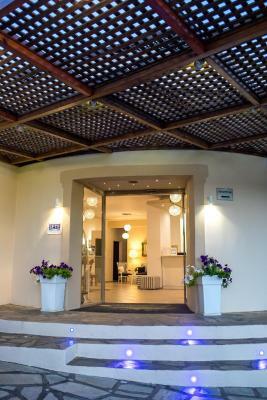 The hotel offers free 2-way transfer to the port and free private parking is available. When would you like to stay at Skopelos Holidays Hotel & Spa? Features a furnished private balcony view to either the sea or to the garden. Includes bathroom with a closed shower cabin. A child up to 12 years can be accommodated. Please see hotel policies. Please see hotel policies for extra bed charges. A very large bungalow with private pool and a private outdoor area with garden furniture. The maximum number of occupants is 5 adults and 1 child. Please see hotel policies. A bungalow with furnished veranda. Shares a pool. Τhe maximum number of occupants is 3 adults with 1 infant, or 2 adults and 2 children up to 7 years old) and 1 infant (in a baby cot). Please see the hotel policies for extra bed charges. Overlooking the garden from its balcony or patio, this air-conditioned room features a safe, a TV with satellite channels and a fridge. The private bathroom is stocked with bathrobes and slippers. Features a furnished private balcony view to the distant sea and Skopelos Town. 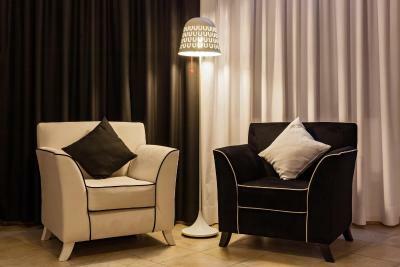 Decorated with elegant wooden furniture with contemporary facilities. Offers air-conditioning, free Wi-Fi and bathroom with a crystal shower cabin. -free, 2-way passenger ferry tickets from Volos and Kymi ports to Skopelos with conventional boats OR free 2-way transfer from Skiathos Airport directly to Skopelos Holidays Hotel & Spa in Skopelos by conventional boat. Children staying at hotel free according to policies are not entitled to free tickets which are only provided to paying children and adults. Kindly note that the free ferry tickets are granted only by Skopelos Holidays Hotel & Spa and special conditions apply. For further details, guests may contact the property directly using the contact details provided in the booking confirmation. House Rules Skopelos Holidays Hotel & Spa takes special requests – add in the next step! Skopelos Holidays Hotel &amp; Spa accepts these cards and reserves the right to temporarily hold an amount prior to arrival. Skopelos Holidays Hotel & Spa accepts these cards and reserves the right to temporarily hold an amount prior to arrival. There is a free 2-way transfer service from Skopelos Port to the hotel. Guests who would like to use this service are kindly requested to inform hotel 48 hours in advance. Please note that complimentary wine and fruit basket are offered on arrival to honeymooners and guests celebrating birthdays. Baby cots and extra beds are subject to availability. Guests are kindly requested to contact the hotel or make a note in the special requests box upon booking. Please note that a child up to 12 years can be accommodated free on charge. Please note that towels and bed linen are changed daily. Please note that a valid credit card is required to secure your reservation. The property reserves the right to preauthorize your credit card prior arrival. Room was not up to the advertised standard, old furniture, badly maintained including the pool, it had one extra bed that was not needed in a very limited space. Everything looked worn out. On the good side, the helpful attitude of the staff at the desk. They even to took us to the port at 7 in the morning to take the boat at the end of our stay using the personal car of one of them, because there were no taxis available nor the hotel vanette. Having stayed at lots of hotels in the past we paid a premium for this hotel as it advertises as 5 star. We stayed at a 3 star hotel in the port last year which in fact bettered this hotel in most respects. Our room was tired and the bathroom grubby with blackened sealant around the bath and behind the basin. When we arrived and went to use the shower, the shower head bracket immediately flopped and wouldn’t hold the shower head. The furniture in the room appeared cheap and dated, the three wall lights were all crooked and the mattress hard. We don’t watch television whilst away but just as well, there was a small television but it was mounted in the corner of the room over the top of a wardrobe. With the exception of the reception area the rest appeared in need of a bit of tlc as well, with a thick green line around the top of the pool. Breakfast was ok but a bit shambolic, with, it seems, no one in charge. Scrambled eggs were made to order, one at a time, by a miserable looking chef in the corner. Strange arrangement. In the time we were there we had to get up and ask a passing member of staff for tea or coffee half the time which felt a little awkward. The coffee, as with the cheap Carrefour ‘juice’ from cartons was mediocre at best. Table mats frayed at the edges, some tables with serviettes but most without. Luck of the draw. We were going to leave after the first night to find a nicer hotel. The manager said we couldn’t be refunded so we accepted a 20% discount. In fairness he did also offer us an upgrade to all inclusive and massages but we declined. Staff were nice enough on the whole. The shower was fixed properly on the second visit but went to have a shower the next morning at around 9 am and there was no water for thirty minutes - and I mean no water at all .. This is the first time ever that I have left a bad review but I do read reviews myself before booking hotels and felt that we ought to, for the benefit of others. It Shouldn’t be a 5star hotel. They have everything in place but needs to be renewed. It is old and doesn’t reflect the prices and the expectations! Facilities are not those of a five stars hotel. Breakfast had few options, juices were from tetra-brick! We were 3 people; the sofa-bed was very uncomfortable. Private pool in the bungalows. Location. Some members of the staff were very kind. The breakfast quantity,quality and variety was very very bad. The room i got was very small far away from what i expected. Everything was perfect! More than perfect! Coffee could have been better! The pool bar was not operating. The pool bar was not open.